Wisdom of Life. : An Amazing Sore Throat Remedy. What you have to do is: tilt your head backwards and shake a little bit of salt straight into the back of your throat. Make sure you shake it straight into your throat, onto the base of your tongue and not over the middle or the tip your tongue (this way you will not suffer from any unpleasant taste). After that, do not swallow your saliva, just let the salt dissolve right there on the back of your throat, letting the salt stay there for as long as you possibly can. If you're using a salt shaker, shake 2 to 6 times depending how bad your sore throat is. If you're using a fast food style paper saltshaker, you should shake about 1/4 of the packet directly into your throat. Also highly suggested, is to shake an even larger amount of salt into your throat right before you go to sleep for the night. During your sleep, without food or drink, bacteria thrive without any interruption to incubation and growth. Therefore, using salt while you are asleep can be extremely effective. Keep a salt shaker near your bed. If you wake up in the middle of the night feeling sore, you can shake some more salt into your throat. Chamomile tea is good. It can reduce fever as well as prevent dehydrationOne must have plenty of fluidsOne must get adequate restSage can help in reducing inflammation. Thank you for sharing on my blog. 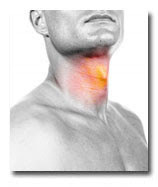 I need to know the home remedies in treating sore throat. I am not feeling well.